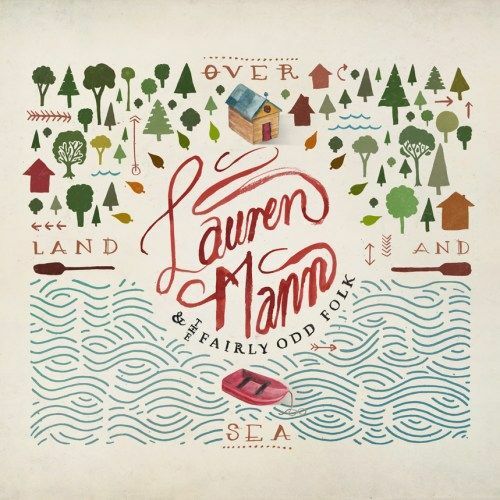 An announcement about the release of Over Land and Sea from Lauren Mann and the Fairly Odd Folk. The band is offering a treat for fans and newcomers to get a free download through Noisetrade. Better hurry, the free download offer is only good until April 24th! As many of you know our new album Over Land and Sea came out today, which means you can now buy it in stores across North America, online, and at shows! Exciting times! However, we have decided to do something a bit different as well. We toyed with the idea of give away a couple songs from the album for free to help promote it, but decide why not just give away the full album? We’re incredibly proud of how it turned out, and the album is something we feel needs to be listened to front to back to be fully understood, so why break that up right? So, for the next couple of weeks we’ll be featured on the home page of noisetrade.com, and will be seriously promoting this free/pay-what-you-want download of the album! We’d love it for as many people to hear this album as possible, and don’t want money to hold people back. Now should you want to help us out that one step further, please do consider purchasing a physical copy of our record, there are extra little treats that you can only get with the physical packaging of the album. Thanks so much in advance to all of you who help! And thank you so much to everyone who has helped get us this far in our music journey! We’re so thankful for all of you! See you on tour over the next few months!